Have you ever wanted to run across the big red balls on the game Wipeout? 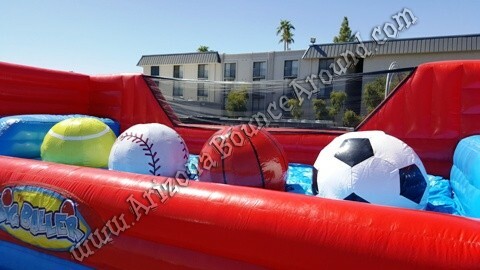 Well, Our new Inflatable Sports Baller is the perfect Challenge game for any sports themed party or event. 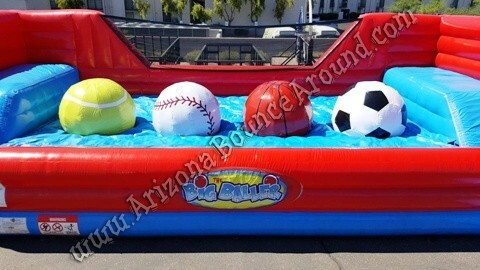 This Sports Baller game features 4 popular sports balls including Baseball, Basketball, Tennis, and Soccer can be used by kids or adults and can be set up on grass, concrete, indoors or most any other surface except dirt or sand. 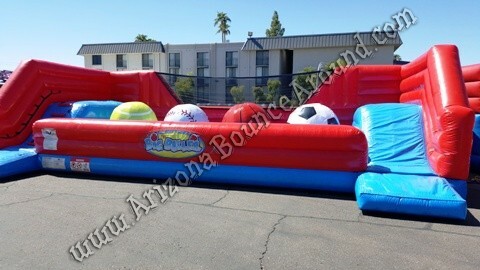 Our Sports Baller is a massive inflatable game that challengers must jump across to reach the other side. Climb up the ladder platform high above the biggest ball pit you’ve ever seen. 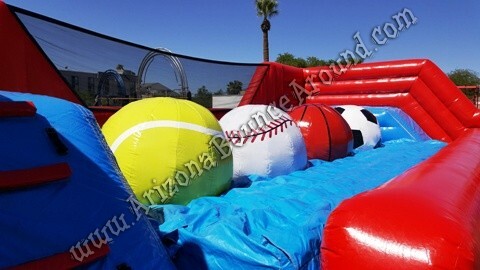 Then try to cross the course by jumping or running across those big sports balls. Your goal is to hop across all four big balls to the platform on the other side. But don’t worry if you fall off! This ball pit is a super-soft jump zone cushioned by Zero-Shock technology just like our stunt jumping air bag ride so challenge all your friends to the Big Sports Baller game.